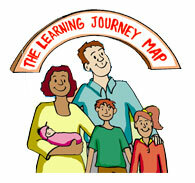 So how does the Bringing Up Your Parents' Learning Journey MapTM work? Working with the team from Bringing UP Your Parents we work with you to establish your personal 'rule of thumb'. That is what your non-negotiables are as a parent - no matter what - at times this can become quite interesting, yet challenging. How do you set workable family agreements using the 'Art of Kitchen Table Conversations' formula? Bringing UP Your Parents will provide you with success strategies. Contact Us to find out how. As parents and a family what is your direction and your goals? What is vision do you have for your family? What vision does your family have for itself? As parents sometimes our flexibility and adaptability can be truly tested. Do you sometimes feel that you have to turn yourself inside out to get your outcomes? Has your commitment to living and loving by your word tested your consistency button? What is your level of commitment to your consistency skills as a parent between 1 and 10? - no matter what! How do you ensure the fun factor is alive and well in all your relationships? Does the task involved determine the fun factor or do you? Bringing UP your parents will provide you with success strategies and how you can build in the fun factor on a daily and weekly basis. How does your family celebrate their success together? Contact us to find out how.